As Colombia’s second biggest city, which was recently named “the world’s most innovative city”, it’s no surprise that it has become such a major hub for digital nomads. If you’re considering living in Medellin, Colombia, here’s all you need to know. 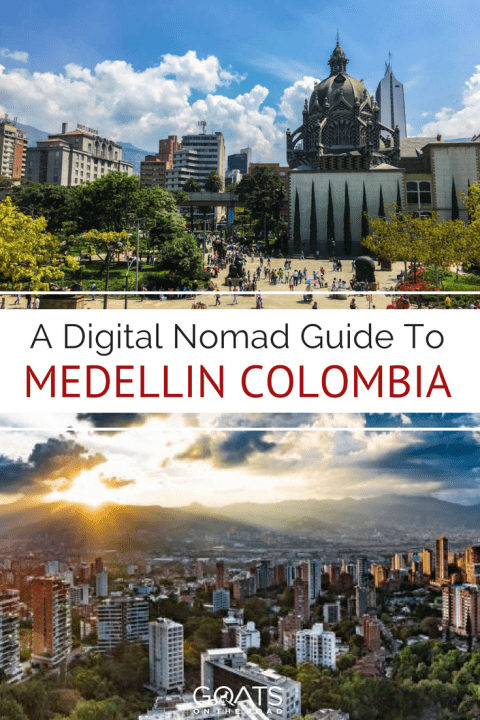 The most popular places for digital nomads to live are south and west of the city centre: El Poblado, Envigado, Ciudad del Rio, Laureles, Floresta, Estadio. El Poblado: Tends to be the most expensive area as it’s the most touristy. A double room in a shared apartment will start around 1m COP (roughly 330 USD) per month. 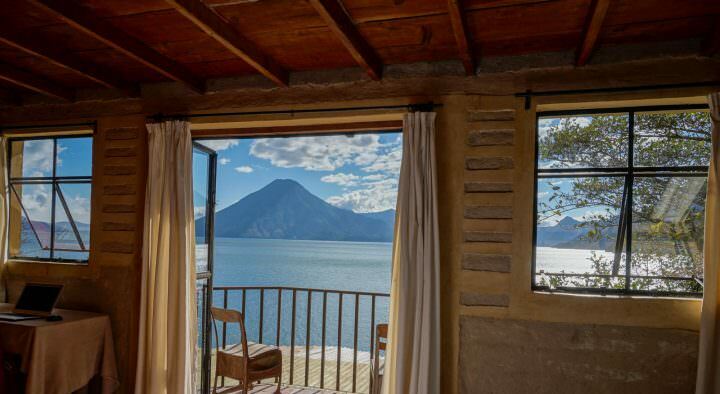 A one bed apartment starts around 700 USD per month. Envigado: Technically located outside of Medellin, Envigado is a little further south than El Poblado. Prices are similar – sometimes a little less. If you are looking for somewhere close to Poblado but not within the tourist bubble, it could be a good option. Ciudad del Rio: Close to El Poblado but accommodation is usually a bit cheaper here, as it’s less touristy with lots of apartment blocks. Prices for a standard room in a shared apartment start around 600k COP (roughly 200 USD). A one bed apartment usually starts around 600 USD per month. 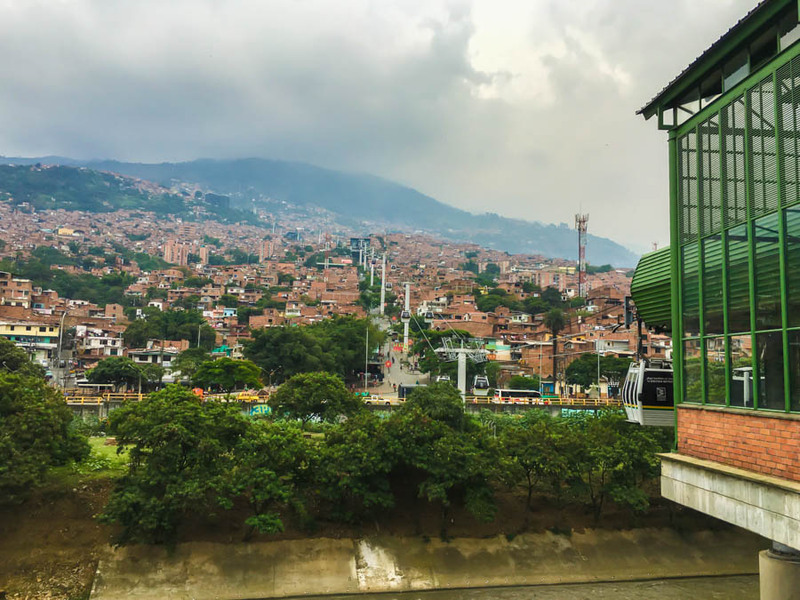 Laureles/Estadio/Floresta: These areas are located west in Medellin, and feel a little more authentic Colombian than El Poblado (although they are westernising quickly). They are close to the football stadium, a public sports arena, and home to one of the main universities – so it feels young and vibrant, full of Colombian students that live here. A double room in a shared apartment should start around $600k COP (roughly 200 USD). For a private one bed apartment, expect to pay from 500 USD per month. If you are looking to live in luxury with amazing panoramic views of the city, there are a lot of penthouse apartments (with pools, gyms, saunas etc) dotted around all these areas – for a fraction of European prices. 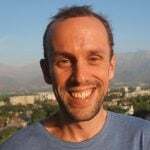 Comparto Apto: Often the best place for value as you deal directly with the landlord, on this website. However, you will most likely need to have a basic level of Spanish to be able to communicate with the landlords. Facebook groups: Sometimes the costs can be marked up a little, but it’s relatively easy to find a room especially for English speakers. 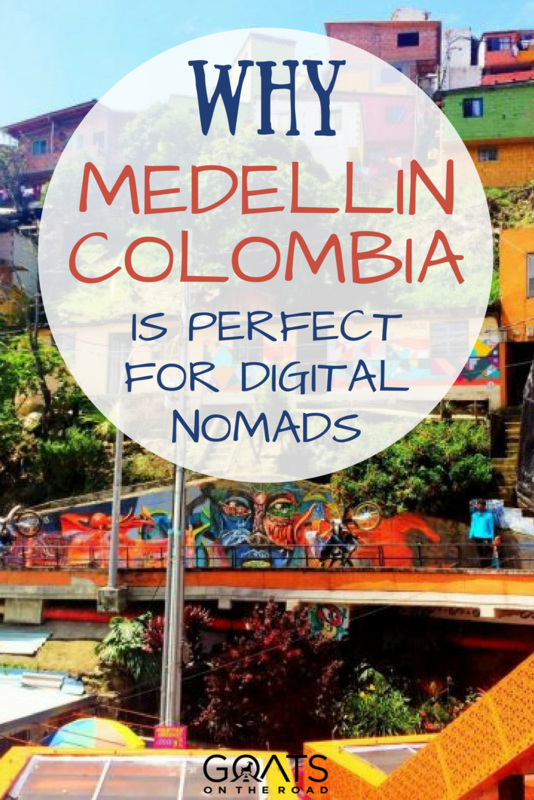 Check out “Digital Nomads Medellin” and “Medellin Rooms, Apartments and Expat Info”. Airbnb: Lots of rooms are available here, and many have discounts on stays over a month. Cafe Revolucion – located on the main road, it can be a bit busy but it’s great for people watching at the same time. Getting around the city is generally very easy and cheap – either by taxi, metro or bus. Local taxis: There are plenty of taxis driving round the city; however, sometimes it can be tricky to track them down. Often they don’t stop, despite seemingly looking empty. Uber: The rules on Uber are slightly strange in Medellin. Technically it is illegal to take an Uber, but the app still exists – so it is very easy to pick them up. However, if the police stop you, you could be in trouble. Therefore, I’d recommend taking the local taxis – they are similar in price anyway. Metro: The standard cost of the metro is 2,300 COP (roughly 80 cents), for pretty much all trips (regardless of the distance). It was built to enable locals up in the outskirts work in the centre – so it’s a great option to save money. Unfortunately the metro station in Poblado is a little way out of the centre, at the bottom of a hill – so if you take the metro to go to the centre of Poblado, be prepared to walk up Calle 10. Bus: There are lots of buses around the city so you can easily pick one up from the side of the road. There aren’t as many bus stops but they stop and pick you up as it drives along the route on the main road. They say in big letters on the front where they are heading – but always check with the driver when you hop on, and if in doubt, ask the guy next to you. Each journey costs between 1,900 COP (under 1 USD). So if you are looking to make some friends with like-minded people, it shouldn’t be too difficult. The most popular supermarkets are: Exito, Jumbo, Euro, & Carulla. There are many large supermarkets, as well as smaller convenient stores, all over. Exito, Jumbo & Euro are cheaper; Carulla is more premium. For the more niche health foods, there are shops such as Salud Pan or Ceres Mercado Organic where you can pick up non-dairy milks, nut butters etc. 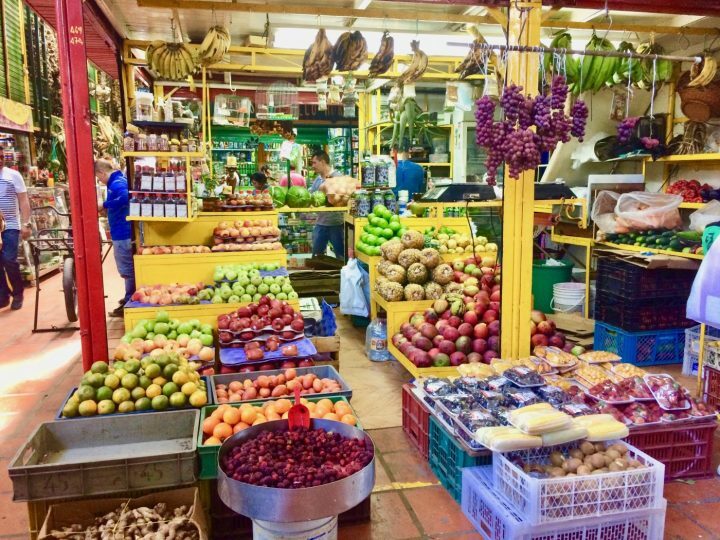 Plaza Minorista is a huge market with lots of fresh fruit, veg, meats, cheeses and more (e.g. the superstitious soaps that apparently the locals like to buy, to get good fortune in things such as love or finances). 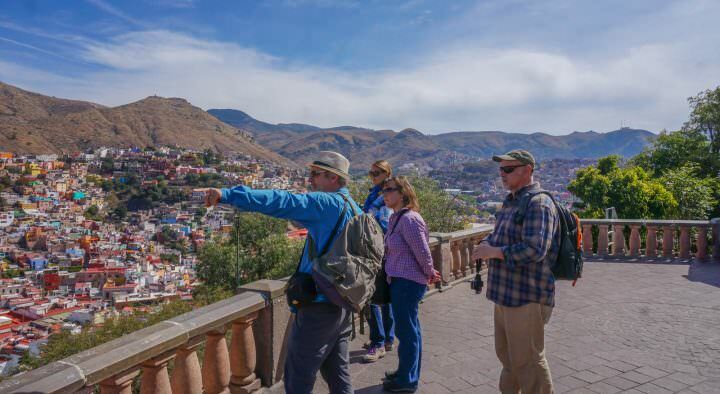 Goods here are cheaper than in the supermarkets, but its location in El Centro means it’s not as convenient to just pop down there, if you are coming from one of the resident areas mentioned above. Arepas & empanadas are everywhere! There is a wide variety of types and flavours of each, and prices usually start at 2,000 COP (0.65 USD). “Ron Medellin” is Medellin’s most popular rum, and is the cheapest spirit, after aguardiente. A 750ml bottle is around 28,000 COP (just over 9 USD) in the shops. Guanabana – a unique Colombian fruit, that almost tastes both sweet and sour. They usually cost around 6,000 COP (1.95 USD). Tap water in Medellin is fine to drink. However, if you do travel elsewhere in Colombia, check the health warnings as it’s generally not drinkable in most other areas. They say the Colombians are some of the most beautiful people in the world – so if you are looking to join the crew and stay in shape, there are plenty of places to go in Medellin. Flying Tree (Laureles) – classes are available in both English & Spanish; 1x class is 25,000 COP (8.20 USD) or monthly unlimited passes are 160,000 COP (52.50 USD). There’s a variety of bars and clubs all over the city, although they are most heavily saturated in El Poblado or Laureles. Reggaeton and salsa are probably the two most popular music types for the locals, but there are numerous places around so you’ll find something to suit your taste. The bars and clubs here tend to be a bit more western with more techno, house as well as the more Colombian reggaeton, salsa and bachata. Salsa: Mojito Salsa Guaracha y Son. is a small, intimate but popular one. Cheap beers with a chilled atmosphere: Latineria – located on Parque Poblado – has beers for around 4,000 COP (1.30 USD). Calle 33 and the ‘setente’ (Carrera 70) is where most of the bars are situated here. They tend to feel a little more local, with more salsa and reggaeton. Carlos E Restrepo (not in, but close to, Laureles): A super eclectic area, close to the university, where many locals hang out and drink beers on the street, singing and dancing to the street performers. Drinking in the streets was banned in January, so this is one of the few places where you can chill at night. 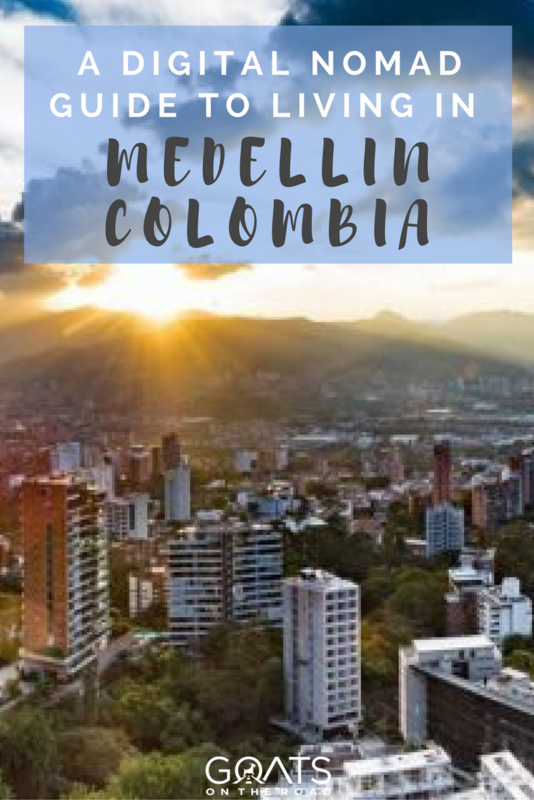 Medellin is a very cosmopolitan city so most people in cafes and shops speak English – especially in the more western areas of Poblado & Laureles. El Centro is slightly less Western so you may find it a little harder to communicate in English but on the whole, you shouldn’t struggle too much without any Spanish. Medellin is also called ‘The City of Eternal Spring’, because the weather is generally pretty good all year round. It does rain from time to time (and usually when it rains, it pours) but it’s consistently warm, being in the high 80s F / low 20s C.
There are many museums, independent theatres and cinemas, concerts and street art to inspire you when you’re not working. 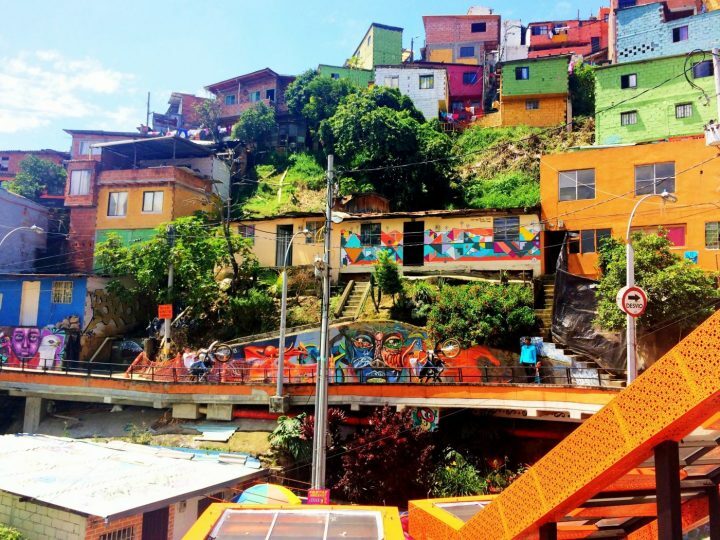 Botero’s sculptures are dotted around the city, there’s a plaza filled with 20m tall lights (Parque De Las Luces), and Comuna 13 (home to hip hop & graffiti artists) has some of the most vibrant street art in the city. 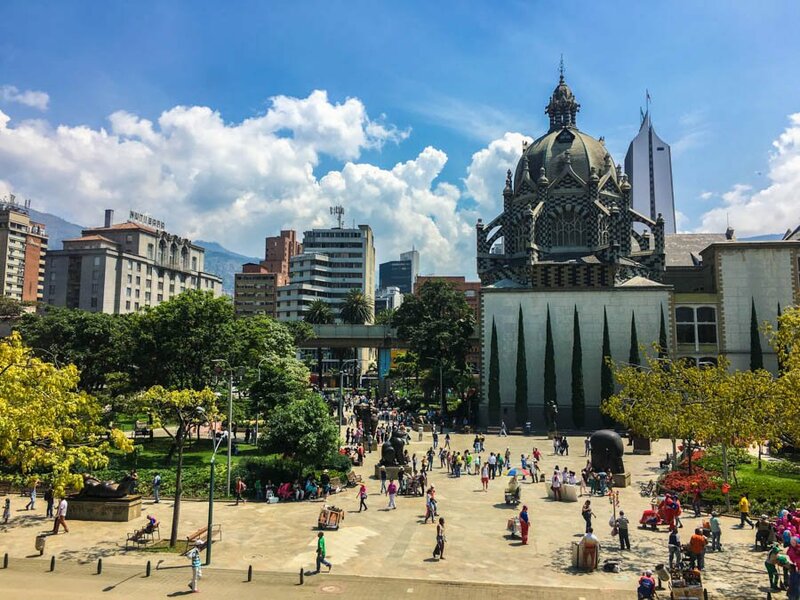 The list is constantly growing so it would be difficult to exhaust everything – but in the unlikely event of that happening, Medellin has two airports and national bus stations, so it’s easy to travel internally for a weekend away. One of the main things which puts people off visiting Medellin is the question of safety. The city has undergone a massive transformation in the last 20 years, and the locals are trying super hard to shift the stigma to increase tourism. There are the same general precautions which need to be taken, as with any big city. However, from a personal perspective, I can honestly say that I haven’t felt at risk at all. Obviously, if you go looking for the illegal stuff, you will put yourself more at risk – but if you are careful, it shouldn’t be any more dangerous than any other big city in the world. With a low-cost of living, good internet connection, and a large nomad community – it’s no wonder more and more nomads are flocking here. Will you be next? Looking For More Medellin Posts? 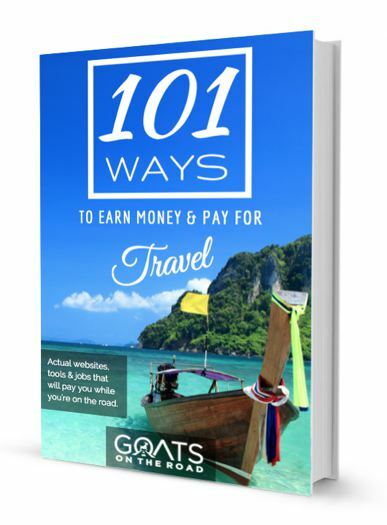 Hats is a British traveler, who left her 9-5 London job, to travel Latin America & learn Spanish. Along the way, she was enlightened into the digital nomad world, when she met a load of nomads in Medellin. 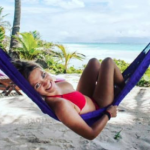 She has set up her own blog Hats Off World while attempting to join the Upwork ocean and work online… Follow her nomad journey here, and her Facebook, Twitter, Pinterest and Instagram too. Awesome write-up! We’ve headed to Colombia next month and plan to spend a few months in Medellin to see what all the fuss is about. Getting more and more excited about going there! 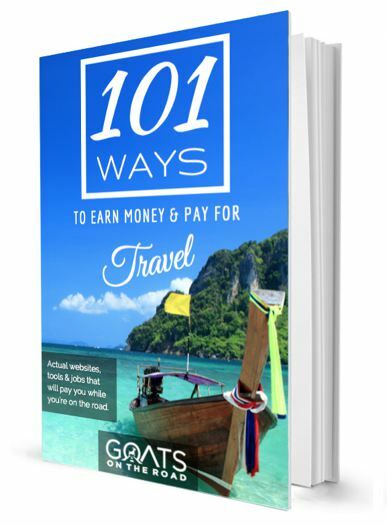 There are loads of useful tips. Thank you. I’m planning to get there next year. I Love Colombia! And it’s true that Medellin is a fantastic city. It’s a great deal of wifi/prices/weather/cafe and the kindness of the inhabitants!!! Laureles seems to be the best choice. Are there events during the week that you appreciate? For dancing, drinking, cinema or arts? I’m going to join one the facebook group right NOW! Pingback: DNJ - More Nomad News From Nowhere. Issue 9.